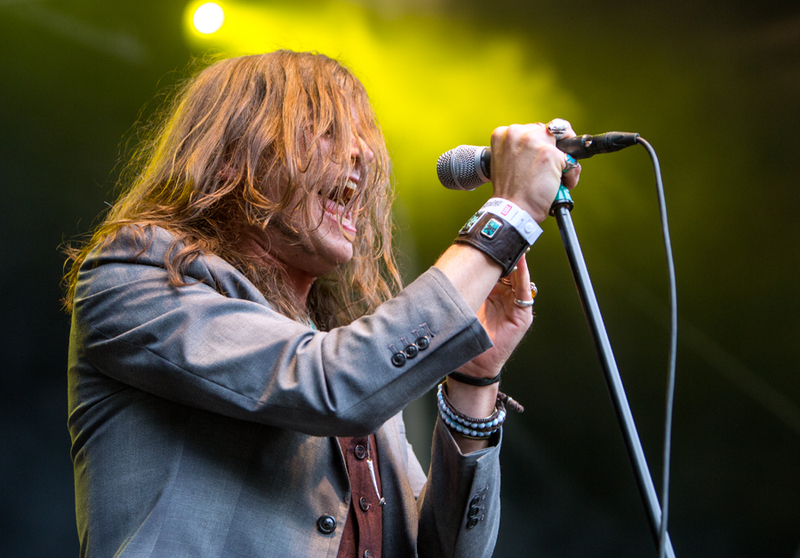 Rival Sons is a four piece rock band from California, and if I had been short-sighted and with bad hearing, I would have thought they were Led Zeppelin when I saw them at Bergen Fest yesterday. When that is said, they are a great live band with their own personality. The audience in Bergen loved them, and that must be the most important thing. 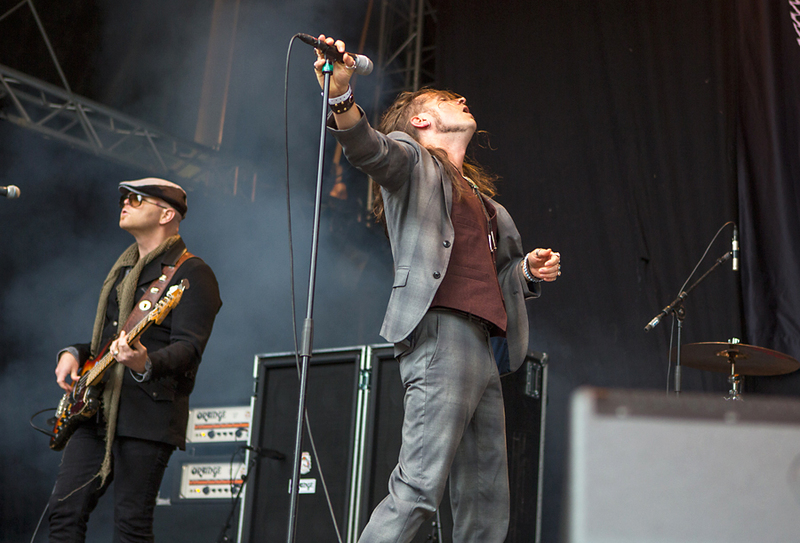 Rival Sons have hade a rising career since they started playing in 2008. They were soon recognized as a band to look out for, and touring as support act for bands like Alice Cooper, Ac/DC and Kid Rock didn’t hurt at all. Through this they have gained a lot of confidence in their playing, which shows. The band has released three full length CDs plus an extended EP. They are signed to the British metal label Earache Records. Their CDs have got great reviews, which they deserve. 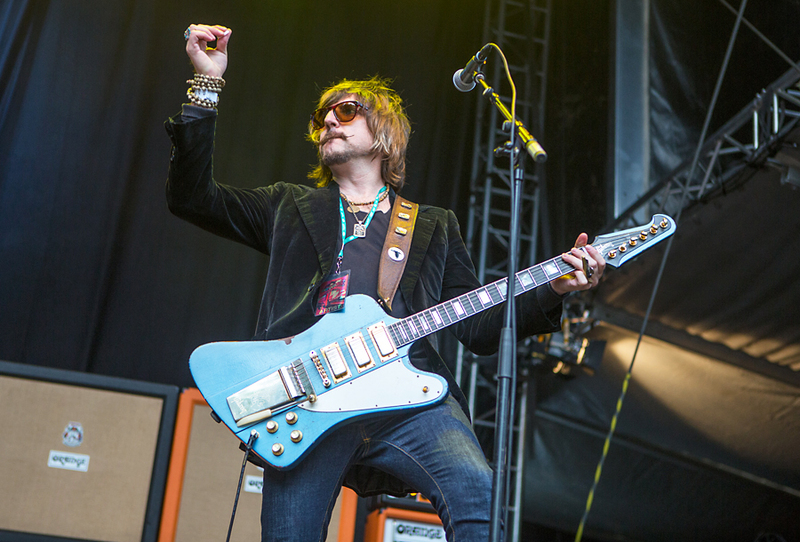 The songs are blues rock, catchy melodies, and strongly guitar driven. 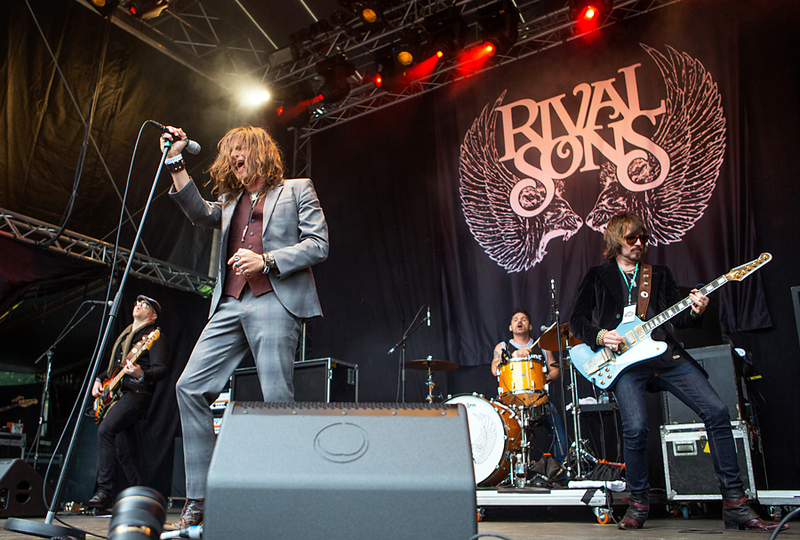 Rival Sons were formed by guitarist Scott Holiday, bassist Robin Everhart and drummer Mike Miley. 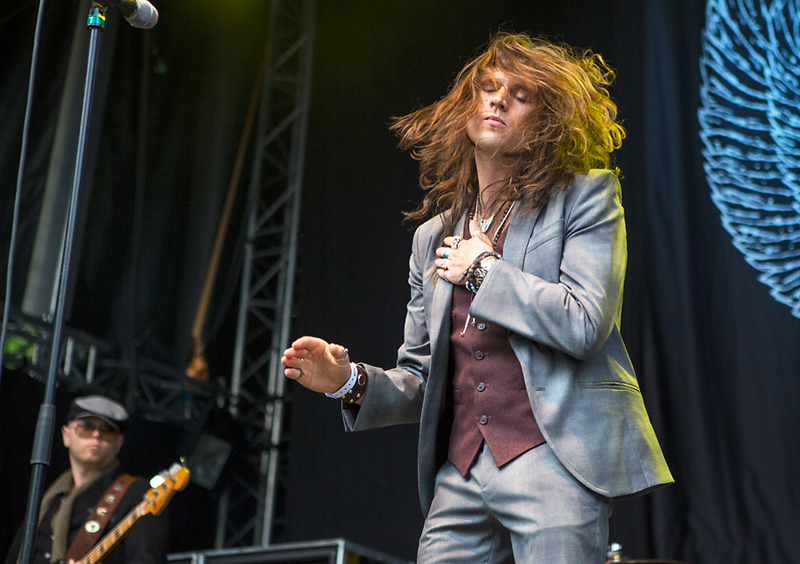 They contacted singer Jay Buchanan, and he joined the band. 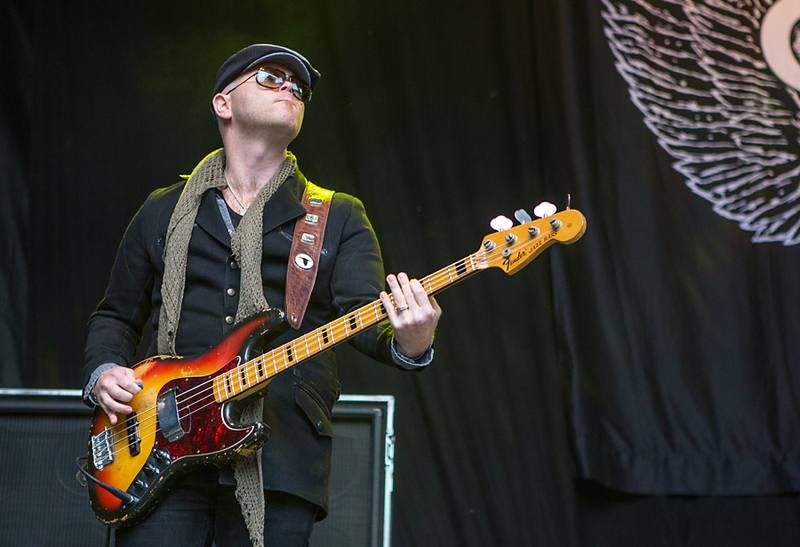 Holiday’s guitar playing is the main ingredient in the band’s sound, with melodic and rhythmic riffs as central elements. 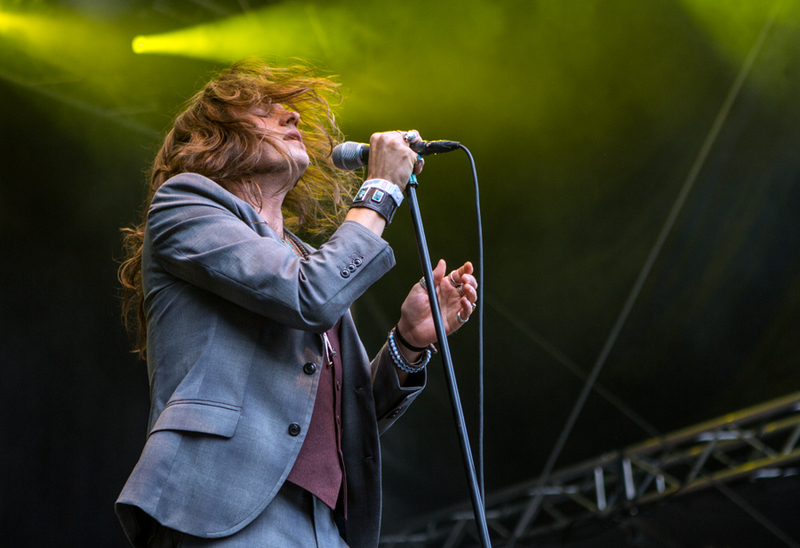 Buchanan’s singing is also god, but to me at times a bit too much Robert Plant. He also reminds me of Plant with his moves on stage, which is that one thing disturbes an otherwise good and dirty rock concert. The audience didn’t seem to mind, though, so it might just be my opinion. 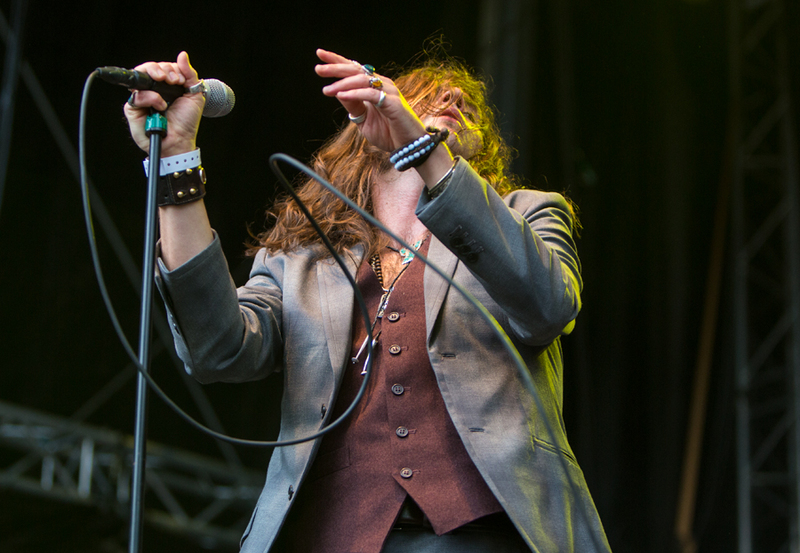 Whatever likeness or not, Rival Sons are a damn good live band, and their CDs are also worth listening to. Their latest, Head Down, was released last autumn, and has some really good songs. They have not fallen for the temptation of expanding the sound much in the studio. Except for an added guitar here and there, they have kept the same basic sound that they have on stage. To me that is a big plus. 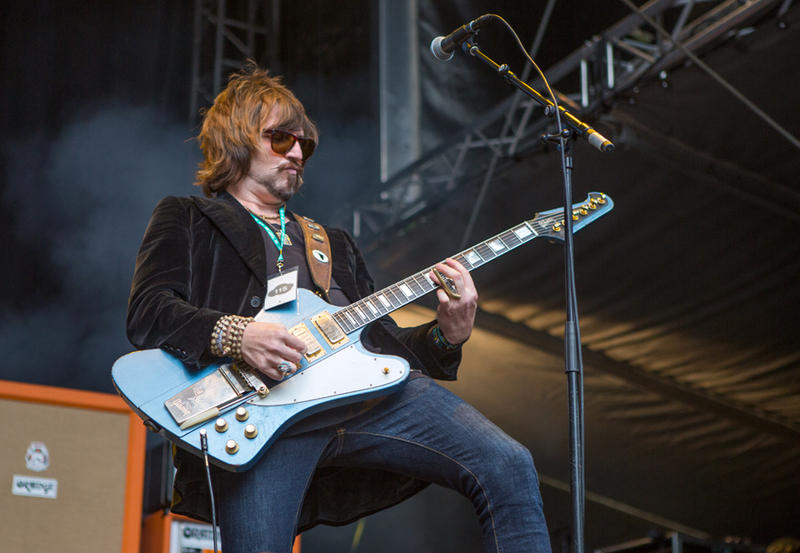 This entry was posted in Concert, Festival and tagged Bergen fest, jay Buchanan, Rival Sons, Scott Holiday by Per Ole Hagen. Bookmark the permalink.